Note: When Pirates of the Spanish Main was released in 2004, I was super-excited by it. Not only was it centered on pirate ships and other sailing vessels , it scratched that model-making itch by giving players cards to punch out so you could build the ships yourself. The game mechanics made for fast-paced, table-top play with easy movement, but more importantly provided what players really wanted — an easy way to pretend to blow the hell out of each other with booming cannons. 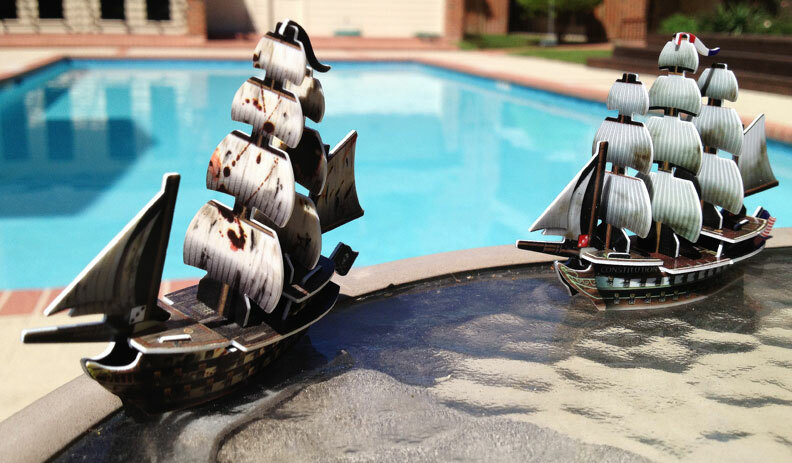 Sadly, the model boat version was discontinued after a few years, and then later relaunched as a card-only game.